Home → Adjustable Bed Base / Foundation → Simmons-World Class. Grand-Fille Terrace Super Pillowtop Hotel Mattress. My wife and I have tried almost every mattress out there, so I was wondering if you could help with any suggestions. 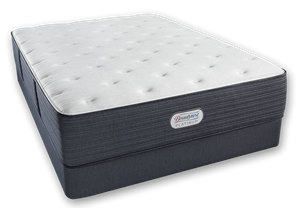 We tried Tempurpedic mattresses, and an Organic Latex with a 6 inch Dunlop as the base with a 2 inch Talalay on top, (it was too soft & we sank). We have tried some other two sided flip mattresses without anything on top, (either too hard or too soft). We just came back from a 10 day trip. That gave us plenty of time to try different mattresses at different Hotels. This one Mattress we loved! And boy oh boy, did we ever Love it! We tried it one night going out and two nights coming back, and the mattress seemed consistent in how it felt and how we slept. Right before check-out we did our “inspection”. The pillowtop part seemed to be “flat as a pancake. The mattress seemed older…not new. It was called a “Simmons-World Class. Grand-Fille Terrace Super Pillowtop Mattress. We slept great! It has been about 15 years since we slept that well. We did not realize that was even possible. We are not sure if we should go with a Pillow-Top. We have been told by some that the Pillow-Top would not deteriorate. We have a Mechanical Foundation to raise the head of our bed for Reflux problems. We both are overweight. Is there any way we can “recreate” the mattress we loved at the Hotel? I have some past back issues and my wife has been Diagnosed with Fibromyalgia, Arthritis, and maybe something similar to R.A. Thanks for any advice & help up front. Considering that there are, literally, tens of thousands of different mattresses on the market, I’m incredibly impressed to hear that you’ve tried almost all of them. Yesterday, my wife slipped a little on the bathroom rug. After a brief wobble and after quickly steadying herself, she exclaimed that she had almost died. Up until now, I have not made the acquaintance of anyone who could match my wife’s level of exaggeration. I’m pleased to meet you. Anyway…it’s the individually pocketed coil system of the Simmons Beautyrest that gave you such a great night’s sleep. I would like to point out that the hotel mattress was not sitting on an adjustable bed base. Propping up the head of your mechanical bed, is throwing off the natural alignment of your spine. You won’t match the level of quality of sleep that you got at the hotel, as long as you continue to do so. To address all of your specific needs, the mattress to buy is the Simmons Beautyrest Black Desiree in Luxury Firm. The Black models are Simmons’ strongest and necessary for overweight people. Forget the pillowtop. contrary to what you’ve been told, they do not hold up well. In fact, they are the first thing go. Instead, add an EverEden pure, all natural 2″ Soft Talalay Latex Topper for the surface comfort your wife’s Fibro and RA require. 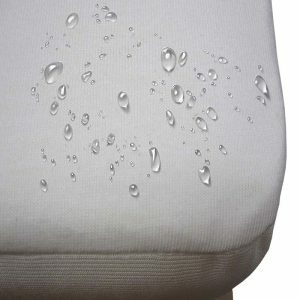 Unlike the pillowtop, the latex topper will remain like new for many years.